← Why am I a ‘data’ guy? Polar bears are endangered and need protection. They hunt and eat meat to survive. Seals are such meat as are scientists walking and working on the sea ice. I am planing an experiment in polar bear habitat. Do I need a gun to protect myself and my students working with me? About 10 people told me “YES” last week, all with experience working in polar bear habitat. Who am I to say no? Encounters between bears and people happen, but only rarely. None of the 10 people advising me to carry a shotgun or rifle ever discharged their weapon or had a bear encounter. 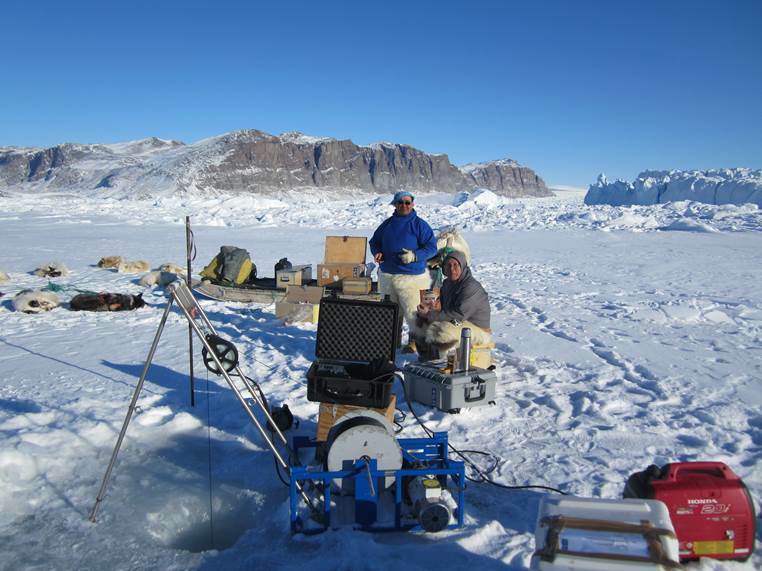 In 3 month’s time I hope to do ~20 day trips from Thule Air Base near Pituffik, Greenland to explore the oceanography and acoustics of the local fjord covered by sea ice. The US National Science Foundation supports this work, maintains a dormitory where we sleep, and provides us with two snowmobiles. We will use these motorcycles on skies to reach science stations on the ice covering Wolstenholme Fjord. 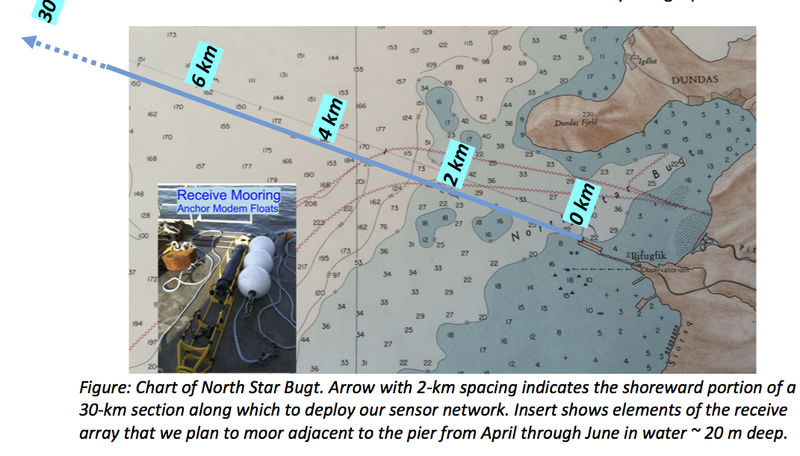 We will drill 10” holes through 3-5 feet of sea ice, set-up an electric winch connected to a small generator, and probe the ocean’s temperature, salinity, bottom depth, and ice thickness to prepare for a quiet acoustic communication system to move data under water from the outer fjord to the pier at Thule and the internet. Leading this science effort, I will have to estimate and manage potential risks which include encounters with polar bears. I will have to decide how much money to allocate to each risk that then may not be available for other activities such as to support students, buy better sensors, or return in the summer. The first and almost always best response is to hire a local hunter who knows the area along with its bears, ice, and weather. There are about 600 people living in Qaanaaq about 100 miles to the north. Most of them are children and grand-children who were forcibly removed from Pituffik in 1952 when more than 13,000 Americans built a large air field during the height of the Cold War. The local llanguage spoken in remote Qaanaaq is the Inuktitut dialect of north-west Greenland, the first foreign language learnt in school is Danish, and English is not widely spoken, however, Qaanaaq has two non-Inuit villagers who originate from Denmark and Japan. It is not straight-forward to bring a gun to Greenland as it requires a large amount of paper work. Another layer of regulations relates to bringing a gun to an US military installation. Shooting a polar bear is a burocratic and political nightmare, because strict quotas exist for the “taking” of polar bears. International complications include Canada, because the quotas are assigned to Canadian and Greenlandic hunters from the same bear population. It is a sensitive topic in many dimensions, a riddle for which I have no solution. How much time do I spent to prepare for an unlikely event such as a fatal polar bear encounter? Could I not argue with ethics that were instilled into me when hiking in the back-country of Denali National Park (no guns there). Park rangers then told me that I enter bear habitat and should do so respectfully with minimal impact. They gave me useful pointers on how to lower contact and I saw no bears hiking for 4 days alone without a gun, but grizzlies eat berries while polar bears do not. So, should I carry a gun, if I am not ready to kill a bear while working in bear country? I can accept the consequences of injury and death for myself, however, I cannot do so for those who are with me. Perhaps this then is a path to a solution: Discuss this with all who will be with me on the ice. This entry was posted in Greenland, History, Oceanography, sea ice, Thule, Wild Life and tagged Greenland, guns, oceanography, polar bears, Thule, travel. Bookmark the permalink. In Spitzbergen you must have a rifle totting person accompany you if you leave town. 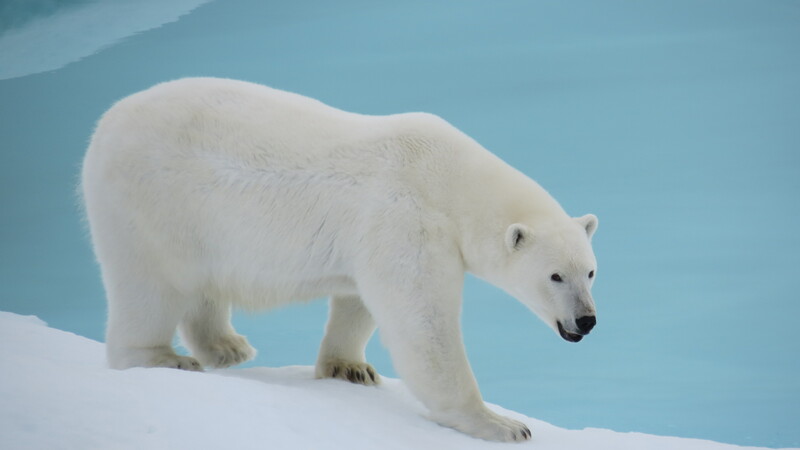 Spitsbergen’s polar bear populations is much larger and not subject to subsistence hunting pressure. I also recall that violent encounters of people with polar bears are more common on Spitsbergen than they are in Greenland with the killing of an English boy scout a few years ago making the news globally. How does this risk compare with that of crossing the street or bicycling in Manhattan, Berlin, or San Francisco? Its probably more about proximity than occurrence probablity. If one looks for polar bears and be near, risks are invariably higher than when you conciously look out for traffic. Yes, you definitely have to bring a rifle with you. In fact the Greenlandic authorities require it when entering polar bear habitat. In my opinion you should not consider safety as a part of the budget that can be negotiated. You should prepare for a polar bear encounter, and so should everyone in the expedition – that way if it happens, you have the best chances of a successful outcome (which in some cases means a dead bear). I recommend the small book: “Encounters with wildlife in Greenland” by Henning Thing, you can find it on http://www.zackenberg.dk and then I recommend that everyone on your trip gets familiar with handling the rifles you bring. Thank you for the kind words and pointer to most valuable resources that I located here. I will study these carefully along with other literature on polar bears and their GPS tracking in the Thule/Pittufik/Qaanaaq area. I continue to struggle as all resources (time and money) are always limited. How to minimize risks while maximizing the probability of a successful experiment? Perhaps a rifle handled by a person prepared and skilled to kill is the solution, but I am not yet convinced it is optimal. There is no discussion, of course, if this is the law of the land. … remember that carrying a firearm as a protective measure towards hazardous encounters with large mammals primarily should be considered a psychological support for yourself. The booklet contains 5 pages on bear avoidance, 2 pages on shooting, and 3 pages on alternative bear detergents. All most useful. A Swedish group hiking the back-country of northern Greenland with guns.